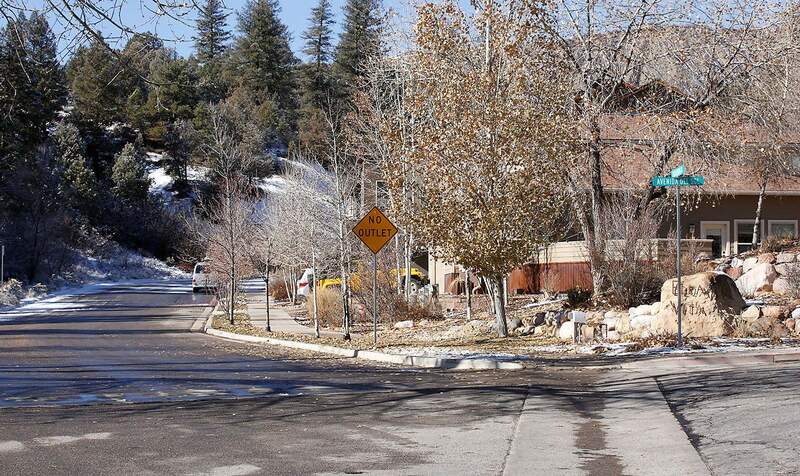 Residents on Ella Vita Court, a cul-de-sac just west of Manna, Durango’s soup kitchen, have reported numerous disturbances and suspicious behavior in their area to police. They attribute the activity to residents traveling to and from campsites west of town. The problems were largely resolved after a semi-organized camp was closed. Residents on the west side of Durango have reported numerous instances of suspicious behavior, disturbances and trespassing to police as the number of intoxicated people traveling to homeless camps by way of Ella Vita Court increased in recent years. While the drama associated with the homeless camping on the west side of town was playing out in government meetings and the news, it happened in real time on Ella Vita Court, a cul-de-sac near Manna, Durango’s soup kitchen. The start of the 416 Fire and the closure of an organized camp for homeless residents west of downtown Durango dramatically reduced problems on their street, Ella Vita residents said. “We got our quiet, safe neighborhood back to how it was before the camp was established,” said Liana Smith, an Ella Vita Court resident. But residents say they are interested in a longer-term solution that would end dispersed camping, address fire danger associated with campers and give those truly in need a safe place to go. The city of Durango and La Plata County need to help solve the problem, Smith said. “I am hoping that they can actually provide a solution that works,” she said. 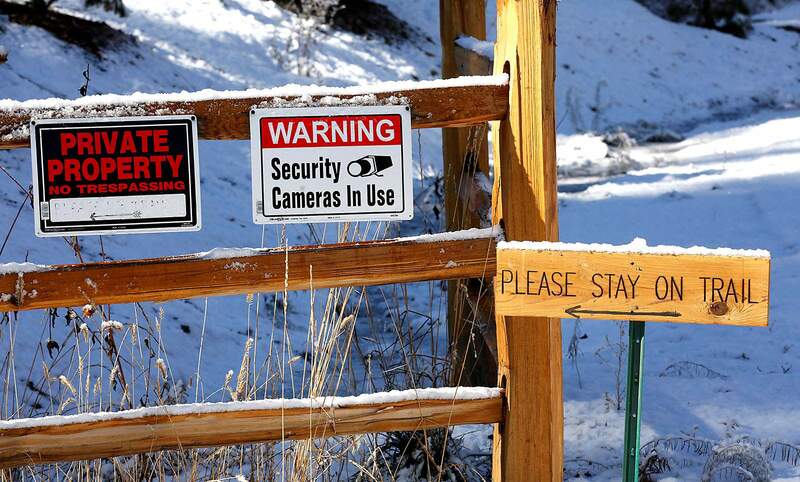 The camp that Ella Vita residents say caused years of problems was set up by the La Plata County Sheriff’s Office in 2015 after a homeless teenager was attacked by a bear. It was meant to encourage homeless residents to keep their camps clean, prevent conflict with wildlife and allow campers to keep each other accountable. The camp was shut down in June, in part because of the extreme fire danger. Homeless residents were moved around several times over the summer, before the city of Durango closed a camp near Greenmount Cemetery in late August and did not provide an alternative. Since then, some homeless residents, including Patricia Hollenbeck, moved back to the eastern slopes of the Hogsback, a popular hiking area and ridgeline just west of city limits. Hollenbeck said she was aware of previous problems on Ella Vita Court, but some campers are now making a conscious effort to avoid the street by taking a different route to Manna, she said. “We figured we got to keep the peace,” she said. Since the closure of the camp near Greenmount Cemetery, the traffic on Ella Vita has ticked up, but it is not close to the numbers of people the neighborhood saw when the county’s camp was open, Smith said. Problems in the neighborhoodWhile the camp was running, the number of intoxicated people passing through the neighborhood “screaming and yelling” increased dramatically, Smith said. “It was a constant flow of people walking up the street with their garbage bags,” she said. Ella Vita Court resident Rob Middleton said he interacted with “belligerent” and seemingly “entitled” people. Middleton said he was told he was an “evil person and a sinner” because he works in Durango and built a home here. At one point, the irrigation system in his backyard was ripped out by people trespassing on his property, he said. In one dramatic case, Middleton’s dog, a blue heeler, discovered the remains of Dylan Gerald Douglas in the woods near the subdivision this summer. He said he thought his dog had discovered a dead deer in the woods when he came home smelling like death twice and threw up in his home. The second time the dog came home smelling like death, Middleton said he went looking for a deer carcass and discovered Douglas. The La Plata County coroner later ruled Douglas’ death a homicide. The case is still under investigation, Cpl. Travis Ketelsleger said. Middleton said it is “disturbing” to think Douglas’ killer may still be in town and among those regularly using Ella Vita Court to access a campsite. 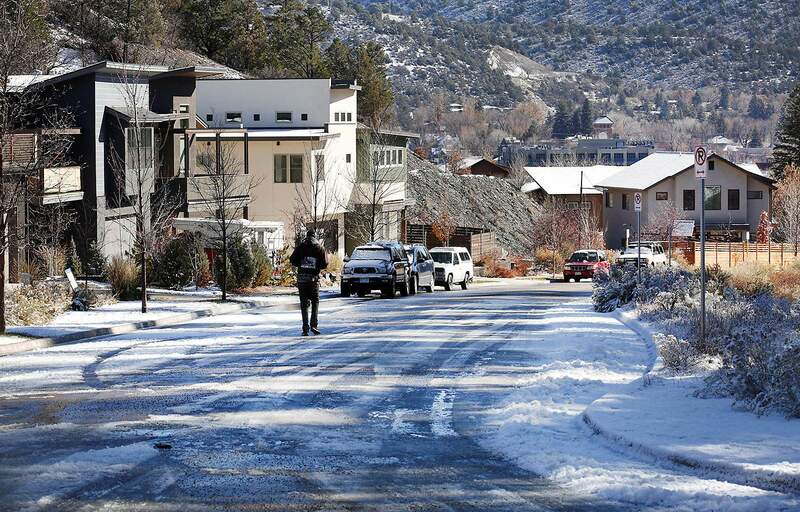 When residents expressed concerns about the disturbances to law enforcement, the Durango Police Department encouraged them to report suspicious activity, said Cmdr. Ray Shupe, spokesman for the department. Ella Vita residents called the department 24 times, mostly about suspicious activity and disturbances, between May 1 and Sept. 30, 2017. Residents called the department 39 times during the same period this year. The increase in calls this year could have been driven by the police department encouraging residents to call, Shupe said. But he could not definitively say why there were more calls in 2018. To address residents’ concerns, Shupe said police officers also tried to spend more time in the neighborhood. “We were trying to do everything we could inside the city limits,” he said. Hoping for a long-term solutionEven though the problem has ebbed, residents in Ella Vita say they would like to see a permanent solution provided for those camping near the west side of town. A formal campground would help mitigate fire danger and keep public lands cleaner, they said. “I feel the dispersed nature of the homelessness in the woods – it’s a recipe for disaster,” Middleton said. He would like to see a safe place provided for those who are truly in need. But he is not in favor of providing a place for people who don’t want to be part of society, he said. Not providing a space for homeless residents leads to law enforcement chasing them around like a game of “whack-a-mole,” he said. Last week, La Plata County Sheriff’s deputies told about 40 homeless campers to leave an area near the Hogsback because of trashed campsites. Hollenbeck was among those who remained and plans to work with volunteers to clean up the area this coming week, she said. The group wants to work out an agreement with the Sheriff’s Office that would allow them to stay, she said. Living in the area allows campers who work in or near downtown to get to work, Hollenbeck said. At the same time, the city is working to refine its camping rules. In September, the city announced a moratorium on its camping ban, saying it would allow residents to camp overnight on city open spaces. But the city requires campers to take down their tents during the day and prohibits campers from littering, fighting and possessing alcohol. The city allowed residents to sleep on its property overnight after receiving a letter from the American Civil Liberties Union reminding the city of people’s constitutional right to rest when there isn’t a shelter available. The city has not provided guidance about where specifically on open spaces homeless residents should go, and that is likely to remain unchanged, City Attorney Dirk Nelson said. “I think we are going to see very little change in the current arrangement in the short run,” he said. Ella Vita Court residents say they saw many more intoxicated people walking to and from campsites on their street after La Plata County Sheriff’s Office set up a permanent camping area. As spring approaches, the city may direct campers to stay in certain areas to mitigate fire danger, he said. The city has proposed requiring homeless residents obtain written permission from the city manager before camping in open spaces. But Nelson said this week the city manager would not require people to obtain permission; rather, he would identify locations where overnight camping can occur. Before they are adopted, the new camping rules will go through a public comment process that will allow residents to weigh in, he said. “Certainly, the impact on the neighbors is a very important consideration,” he said. Other optionsCity officials in the past have called on churches and nonprofits to provide housing for homeless residents, and there are longer-term plans for housing in the works. Housing Solutions for the Southwest plans to submit an application in 2019 for tax-credit funding to build about 40 units of permanent supportive housing that would house homeless residents, Elizabeth Salkind, executive director of the nonprofit, said previously. Community Compassion Outreach, a Durango nonprofit, plans to establish a village of 40 micro-homes, about 480 square feet, for homeless and low-income residents, said Executive Director Donna Mae Baukat. The homes would be either sold or rented to residents at affordable prices; it would not free housing, she said. The nonprofit does not want to create a permanent encampment, but it would consider allowing campers to stay on a piece of property on the condition campers transition to a home, she said. The nonprofit is working on identifying land for the project, but is finding the price of land and infrastructure costs challenging, she said. mshinn@durangoherald.com This story has been updated to correct the spelling of Donna Mae Baukat’s name.